We'll help your body heal naturally using chiropractic care and nutritional support. 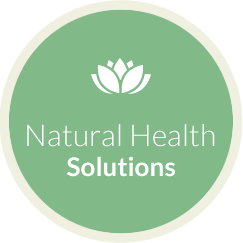 We look to the cause of your health concerns to give more effective solutions for lasting healing. 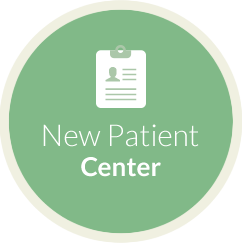 Our 30 years of experience has led us to incorporate a holistic approach to patient care, so we can discover the underlying causes for health problems, and incorporate a treatment plan that includes diet, nutrition, exercise, and spinal care. 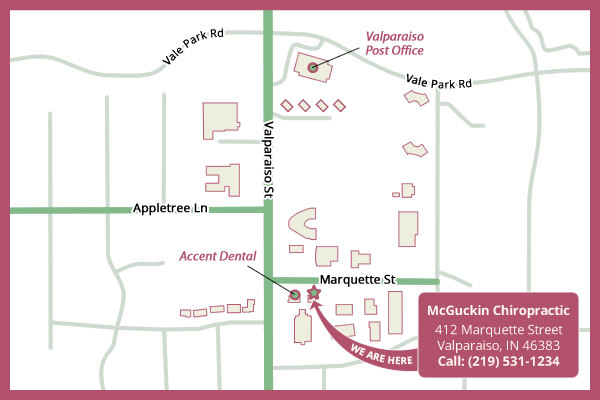 At McGuckin Chiropractic, Valparaiso Chiropractor Dr. Brian McGuckin specializes in finding the true cause of your problem. 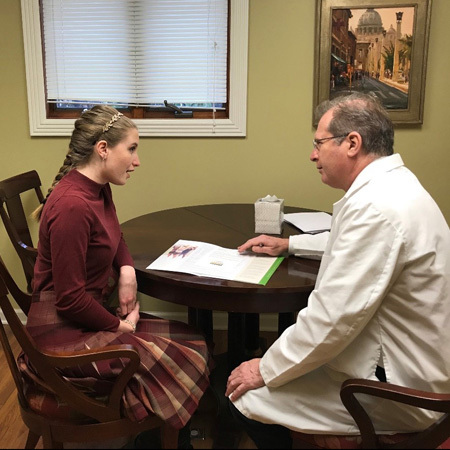 A thorough consultation and comprehensive examination allows us to understand your level of health and where you need to take it to, achieving your goals. At our referral-based practice, of all ages from colicky babies to seniors, you are welcome to experience what we have to offer. We see people who are seeking help with a variety of conditions. You may have a complaint that isn’t related to the spine. You may have tried other avenues without seeing success. 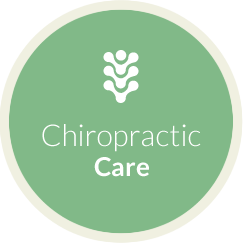 Chiropractor Valparaiso Dr. McGuckin had a similar experience and sought to understand how he could achieve better results for himself and his patients. This journey led him to extensive studies in nutrition and how the body heals. In today’s world, people are getting sick more often and disease has become an everyday occurrence. With many testing options available, we’ll get you an accurate diagnosis and help you get on the path to better health. We’ve found that nutrition and chiropractic can work hand in hand for a positive effect on your health. The spine influences the way you feel, and nutrition assists you in being healthy from the inside out. Find out what we can do for you. Contact us today! We offer on-site laboratory and x ray services with early morning appointments to accommodate your schedule. 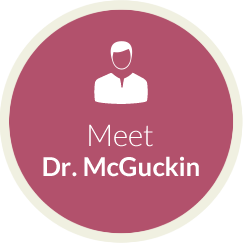 Dr. McGuckin has worked on my family for years. He does an amazing job and we wouldn’t go anywhere else! I appreciate your compassion… very evident in each of the staff & practitioner. “Exceeded my expectation” God bless U All! Thank you for giving me such quick relief! My weekend was saved! Will be back to follow up on how I can help my back through exercise. Overall very good experience very pleased with my results. I see why you are so highly recommended! Thank you! Overall health and well being is within reach with the right advocates. Thank you Dr. McGuckin for advocating for optimum health! Very satisfied and if ever in need again, I will be back! Just started with Dr. McGuckin. Looking forward to good results. His ability to keep the set appointment time and flexible scheduling fulfilled my demanding schedule.